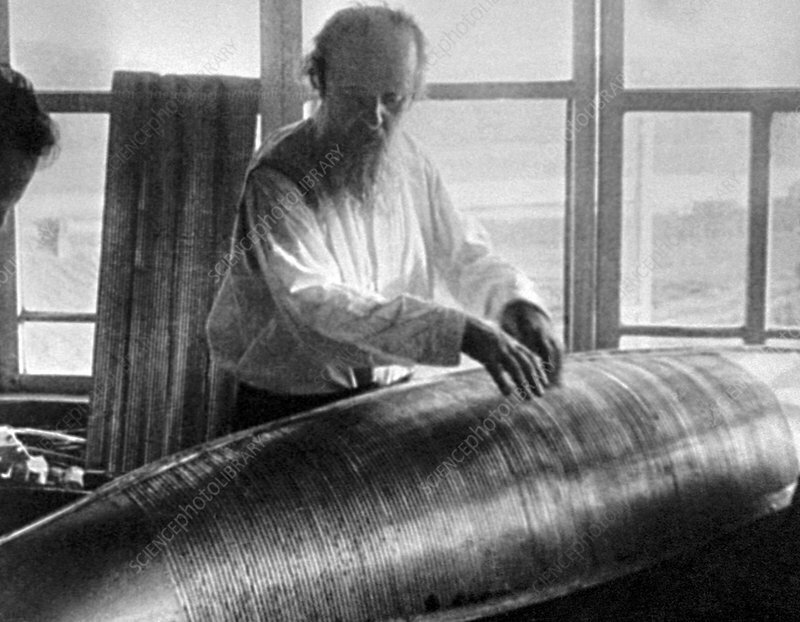 Konstantin Tsiolkovsky (1857-1935), Russian aviation and aerospace pioneer, in his workshop. Tsiolkovsky laid many of the foundations of modern aerodynamics. He is best known for his visionary work and predictions concerning space travel, and he is considered one of the founding figures of rocketry and astronautics. He spent much of his time as a near-recluse in his log house, in Kaluga, Russia, living here for 29 years from 1904. Photographed in 1910.